The annual British & Irish Sound Archives (BISA) conference will take place this year at the National Library of Wales in Aberystwyth from 16-17 November. We warmly invite proposals for presentations on any aspect of audio archiving. 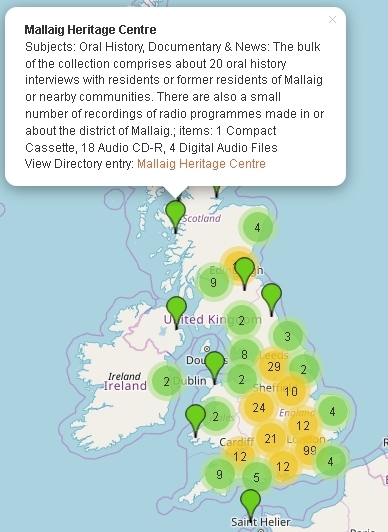 BISA's Directory of British and Irish Sound Archives now provides information on 393 different collections of sound recordings held in the UK and Ireland.